Oh my, this post is almost late. Sorry to disappoint, but I'm finally getting to it. It is a basic one, but since we are still at the beginning part of the alphabet I thought it would be okay. C is for Counting! Counting is probably the most basic math--we teach it to babies and toddlers. Counting has been around for more years than you or I could count to in a lifetime. Counting we teach to youngsters usually starts in a basic fashion--counting by ones in the positive direction. As kids get older they learn to count by 2s, 5s, and 10s. Then when we are teaching multiplications we tend to try and reinforce counting by 3s, 4s, 6s, 7s, 8s, and 9s. I wanted to throw something out there (sorry I don't remember where I heard it from)... Did you know most people when looking at objects tend to group them in either 2s or 3s and find the total that way? I am interested to know if you counted the same way. 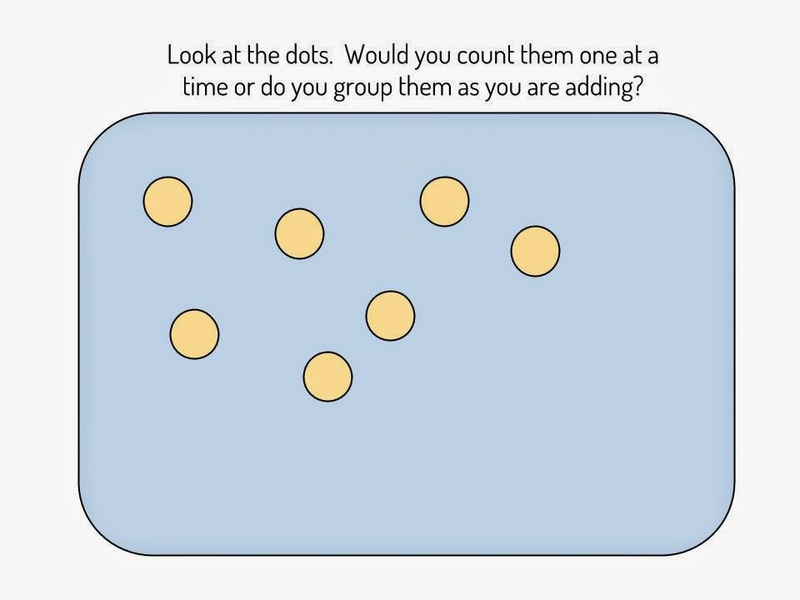 I think the tendency among adults is to group from left to right although if dots were put in a different area I believe the tendency is to start with the most crowded section and count out from there. You're definitely correct. 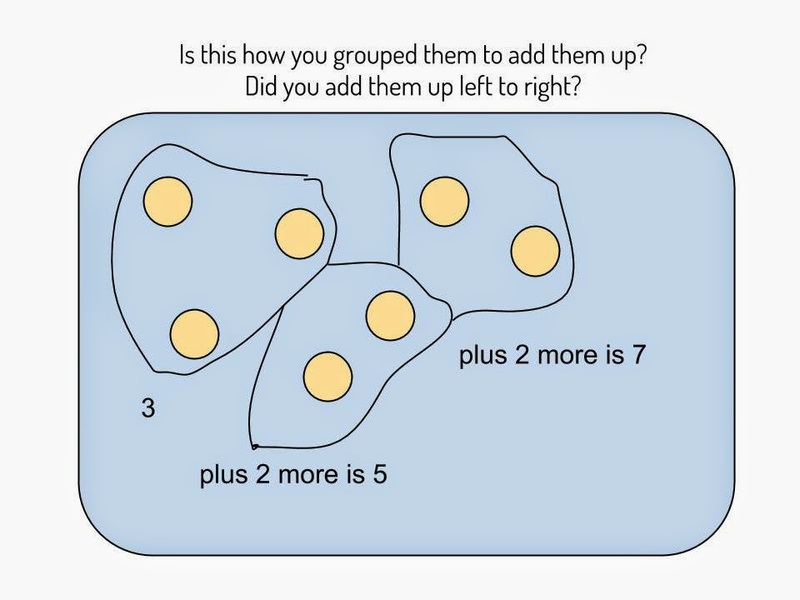 We tend to group things in some kind of order order to better organized them in our heads. And probably to better remember. Like with phone numbers, first three digits, then next four. Cool post. Thank you. Yes I grouped them from left to right.